Sony’s Game division took a 14% hit on their revenue for the second quarter ending September 30, 2012 due primarily to lower sales of the PSP, PS2, and PS3, and sluggish PS Vita shipments. With Sony no longer divulging their specific hardware shipment numbers for each platform, we can only guess as to exactly how bad things are in the Game division. However, we can make some pretty good assumptions based on what little information was supplied. Combined the PlayStation 2 and PlayStation 3 sold 3.5 million units during the quarter, down from a combined 4.9 million during the same quarter last year. Considering the age of both systems and the lack of a PS3 price cut it is understandable to see a decline in console sales at this point. On the handheld side the PSP and PS Vita combined for 1.6 million units in the second quarter, down slightly from 1.7 million year-over-year. 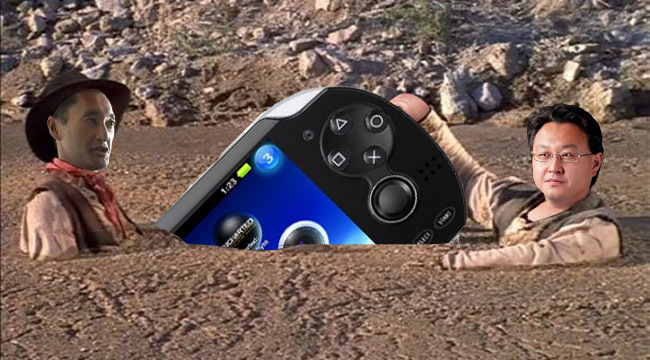 What makes this decline far more troubling is that last year’s 1.7 million units occurred prior to the launch of the Vita and is comprised completely of PSP sales. In short the PSP is still in decline, and the Vita is shipping so little that it doesn’t even come close to covering the spread. To make matters worse, Sony cut their projected handheld sales forecast from 12 million units during the entire fiscal year to just 10 million units. The one bright spot for Sony’s Game division is that software sales did see a year-over-year increase of 1.2 million for the PS2/PS3 and 500K for the PSP/Vita. For the second quarter ending September 30, 2012, the Game division reported ¥148.2 billion in revenue, down from ¥176 billion year-over-year. Operating income also took a year-over-year hit, from ¥3 billion to ¥2.3 billion ($29 million). Company wide, Sony reported ¥1.6 trillion in revenue (up 1.9%), and a net loss of ¥15.5 billion [$198 million] down from a ¥27 billion net loss during the second quarter in the prior year.